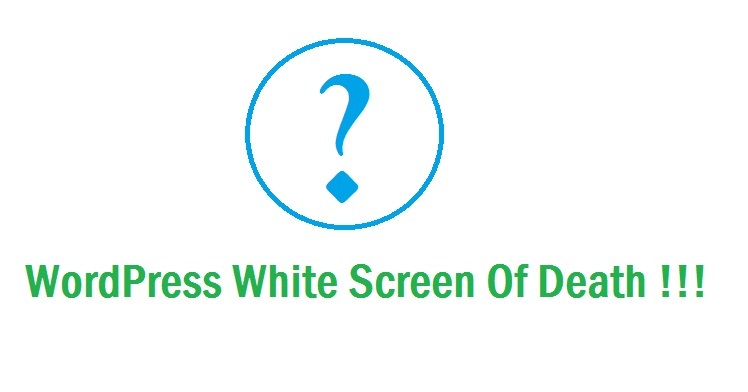 White Screen of Death (WSOD) is a nightmare of WordPress users. There is a little number of user who didn’t face this problem while using their WordPress website. It is a most common problem of WordPress website but we can easily find out the problem and fix it. Let’s see what causes this problem? » Most common cause is using plugins/themes which is not compatible with your current WordPress Version. » A low php memory limit by Hosting Providers. # At first login to your hosting account by cpanel/ftp. # Locate and open wp-config.php file and make wp_debug to true and create a debug.log file into same directory. Note: Make sure you change it to false and remove 2nd line again when problem fixed. # Save wp-config.php file and check your site. You may get some error message (also check debug.log file) which will tell you which file & line causes this problem then go to this file and fix this. If it is still showing a blank page go forward fix. # Locate and open wp-config.php file and add following line after wp_debug. Save wp-config.php file and check your sites if it’s fix the problem. Otherwise go for following step. # Go to wp-content folder and rename plugins folder to anything like x-plugins. # Now check your website. If this fix our problem, then it is absolutely plugins problem. So, we’ve to rename x-plugins to plugins and go into this folder and find which plugin creates this problem by renaming folder name. # If previous fix didn’t work then go to themes folder and rename current theme folder and check website. If this works it must be a problem with theme. # Replace this theme with new one and you’re done. # If no fix works for you please backup your database and install a fresh WordPress and upload your database with it.